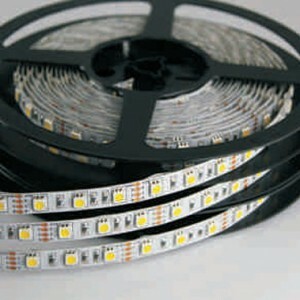 LED strip for indoor use of 5m EPISTAR TOP SMD LED (3 chips in 1) in longlife package assembled on flexible sticky tape. Life time 50.000h (70% lumen maintenance). Possible flexible and cut points every 100mm(6 LEDs). Maximum length allowed for the tape is 5m.